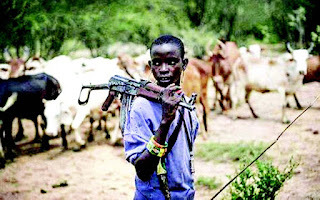 The National Chairman of Fulbe (Fulani) Development Association of Nigeria (FULDAN), Malam Ahmad Usman Bello, has declared that they cannot be defeated by any ethnic group in the country. Bello made the remarks while speaking with Saturday Tribune in Kano, amid the widespread outcry against the murderous activities of Fulani herdsmen in Benue, Plateau and Taraba states and many other parts of the country. “Take it or not, Fulanis have remained unbeatable; no ethnic group can fight us face to face. Any ethnic group that fights us will learn a bitter lesson,” he said. He, however, said it was in the interest of the Fulani, which he described as “the largest ethnic group in Nigeria and, indeed, West Africa,” for all Nigerians to continue to live in peace and unity. According to Bello, they would be the biggest losers should a civil war break out, because they have more people than any other ethnic group. “It is in our own interest that the country lives in peace [and for the country] to be united. If anything happens in Nigeria, we are the ones to lose because we have more people than any other ethnic groups. “When you have more people, if any war occurred, certainly we Fulanis would have more dead people to record. And we are not beggars as we are equally blessed with wealth,” Bello said.